At Nautical Sports, we are striving to be a one-stop rope shop – supplying everything individuals, companies and industry need that require ropes and the associated rigging and rope management hardware. Our range includes natural fibre and synthetic yarn ropes of braided, twisted or plaited construction. Every application, industry and pastime has its own range of ropes that satisfy its requirements. Ensuring you have the correct rope for the application is key in ensuring safety, longevity of the rope and value for money. 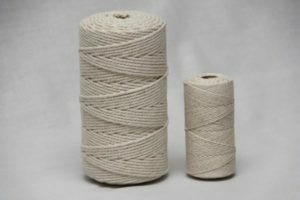 Natural fibre ropes do not perform as well as modern synthetics but they have a couple of major advantages – they look nice and they are environmentally friendly. They are used increasingly for decorative purposes – be it to achieve a nautical theme, an African theme or to blend in with the bush, timber and thatch construction, etc. Click here to read our post about how you can use rope in your home décor. Here, however, we will talk a little more about the types of natural ropes. Strings and Twines are your thinner diameter derivatives, from 1mm – 4mm and typically available in cotton or eco-string – which has a rougher, brown look to it. In the braid construction, we stock piping cord and cotton sash cord. 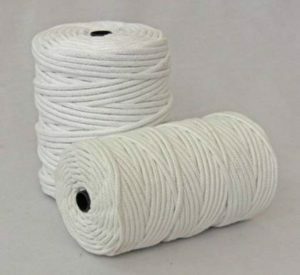 The cotton sash cord is available in a “natural” off-white colour, is very soft to the touch and is great for luxurious bag handles, curtain ties etc. This cord is available in 5-16mm diameters. 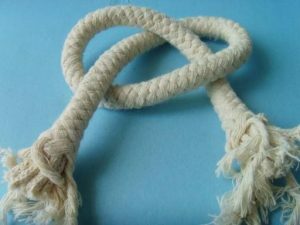 The piping cord is usually made from a cheap blend of natural fibres and there will be no consistency in its appearance (it is usually covered with material). This is available in 4-10mm diameters. In the twisted construction, we offer Eco, Manila or Sisal natural fibre ropes. These are typically available form 7-30mm in diameters. 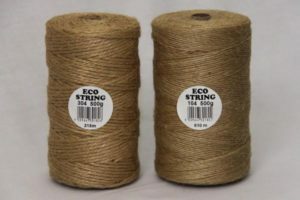 ECO Rope is the lowest cost of all natural fibre ropes. 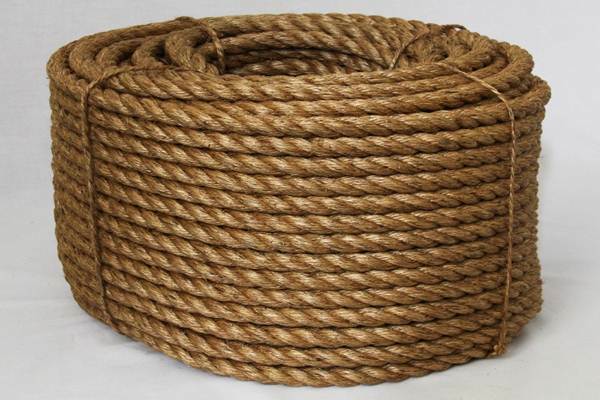 It is light brown in colour and is popular as an economical general purpose rope which can be used for applications such as lashing, light duty lifting, handicraft work and decorative purposes. The ECO Rope has beneficial characteristics; it is economical, has a firm grip, knots well and is environmentally friendly. Manila Ropes are made from high grade pure manila fibres which give the rope a natural brown appearance. 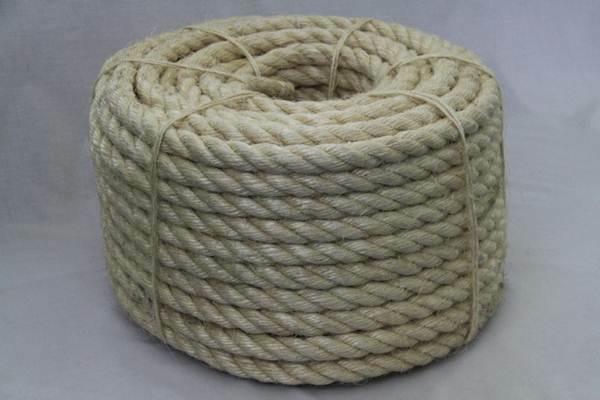 Manila Rope is durable, flexible and resistant to salt water damage allowing its use on sea going ships. Its texture gives a firm grip with little stretch making it an ideal rope for pulley block work and lifting. Manila Rope is also popular in handicraft work and for decorative purposes. Take care when you use Manila Ropes outdoors as they shrink when wet. Characteristically speaking, Manila Ropes are highly durable, have good abrasion resistance, are low stretch with a firm grip. They knot well, are salt resistant and, just like the ECO Ropes, are environmentally friendly. Sisal Ropes are made from light-coloured natural sisal fibres giving an economical and durable general purpose rope. This can be used for lashing, block and tackle work, and decorative purposes. Sisal Rope is durable, economical, has a firm grip, knots well and is, once again, environmentally friendly. In our next rope blog, we will start investigating the complex and comprehensive range of synthetic ropes.